Morgan and I got married! During this year I also celebrated a one year blog anniversary, and also a one year quilting anniversary – yay! Thank you to all of you who visit – frequently, or just occasionallyÂ – and a special thanks to all who take the time to provide such wonderful comments. I truly enjoy reading all of them! Your interest and support keep me motivated to continue making quilts to show here. Thank you, thank you! 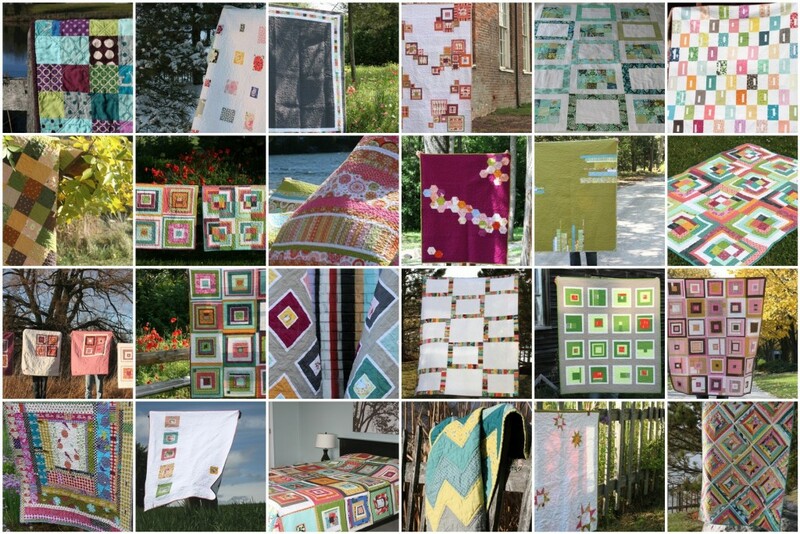 I am looking forward to a quilt-filled 2010! This entry was posted in General, Posts about Quilts and tagged 2009, a look back, favorite quilts. Bookmark the permalink. looking forward to many more super inspiring quilts in 2010. You have been so instrumental in changing my quilting style and getting me to think “outside the box.” So many, many thanks. Happy New Year. Happy New Year! So glad we are blogging friends. Can’t wait to see all that you come up with in 2010.
i love, love, LOVE that hope valley baby zig zag quilt. the colors and pattern are perfection. thanks for the inspiration in all those beautiful quilts! Your creativity is as always inspiring. Congratulations on a wonderful year! Wishing you and yours a very Happy 2010! You are so amazing! I started quilting in the fall and am only on my third project. You are such an inspiration! I’m already planning to try out your Kaleidoscope tutorial for my fourth project. Thank you for the year of inspiration! Happy New Year. 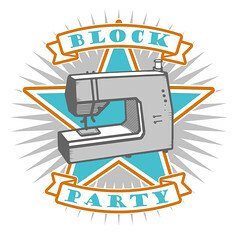 Happy New Year Ashley – you are an amazing quilter and such an inspiration – can’t wait to see all you create in 2010! Wow, that’s a lot of quilts!!! Probably one every 10 days! Happy new year to you and yours. I’m very impressed! You have created so many quilts this year. Many happy returns for the New Year, and thanks for the inspiration you’ve given! You have been very busy and I love all your quilts! Looking for lots of inspirations in 2010. Happy New Year! I have loved finding and following your blog this year. I also found a fabric that made me think of you today… check out Michael Miller’s Tasty Escape…. cute… I think this would go great with a few of your fabrics… Have a happy new year!! Happy New Year Ashley! 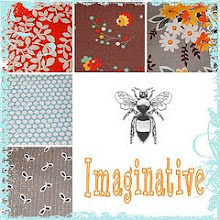 Thanks for all the inspiration, I look forward to getting to know you a little better during Bee Imaginative. The string quilt is my favorite. You must go see mine that you inspired. It’s so beautiful. It was a lot of quilts. I really have no idea how you can keep up the momentum. For me, at first I got stuck because I ran out or resources to buy batting (but that may soon been rectified). Towards the end of the year, I made smaller quilts – less than 60inches with the leftover batting from my kingsize and two queen, also a roll from my mother. Happy New Year Ashley! Congratulations on such a happy, successful year! Your inspiration has been a gift to so many. You’ve certainly motivated me to make a quilt for my son and daughter-in-law (which I’ll add to your Flickr site once I figure that out!) Keep up the wonderful work. Maybe you could give us some pointers on how you are so prolific AND creative! Thank you! Happy New Year, dear! Your one year of quilting is beyond inspiring and I adore so many of your fabric choices. Have a fantastic 2010! It’s great to see how much you accomplished in 2009! Great job, great year and you made some amazing quilts!!! wow… you have quite the collection to be proud of!